Fridge pack. 1 of your 5 a day - 80g = 1 fruit portion. 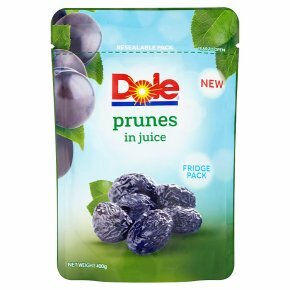 BPA-free packaging.Join the Dole Fruit Challenge Put this handy resealable pouch into your fridge and enjoy delicious fruitany time - on your breakfast cereal, in a smoothie, on a yoghurt, as a permissible snack. So many more ways to hit your"5-a-day", every day. Caution: May contain pits or pit fragments.